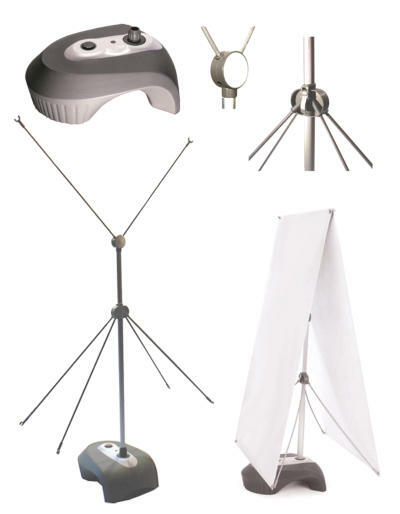 Outdoor X-Type Banner Stand, XBAN-OUT Single or double-sided, adjustable height X-type stand with water/sand tank base. Back legs removable for single-side use. Thick aluminum, telescoping center pole and flexible fiberglass arms. The bottom hub uses a strong, sliding height adjustment lock. The top hub raises both poles at the same time for easy banner attachment. Poles and Base ship in 2 different boxes. Case qty: 10.